In current days relocation from one place to another is most common for individual peoples or family or business companies. There are many reasons for such movement or say relocations. Since life is not the name of stopping but go on and on, such tasks of relocation from one city to another is not easy since its very hectic & needs lots of time & brainstorming before going for such task. Moving a home small or big can be a daunting task, it is stressful, but with the right preparation and care you can alleviate some of the stress. 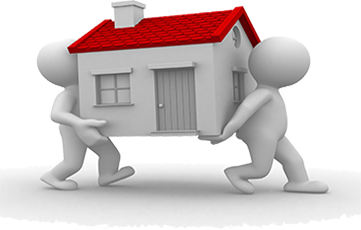 Now a day’s HS Packers Movers is here to provide complete trouble free solutions within Vadodara (Baroda). The complete relocation process takes lots of steps from pre move survey of goods to Packing, Loading, Transportation, Custom Clearance, Insurance, Local Authority Permissions, Dues Clearance, Unloading, Unpacking & rearranging goods to the new destination. Blue Bird Logistics and Packers Movers do all the paper works like making a list of articles, goods placement list (Labeling on the boxes), and insurance of goods from Insurance Companies. Today, experienced and reliable Blue Bird Logistics and Packers Movers offer their expert services to perform such hectic tasks. When it comes to moving the treasured belongings, you’ll surely be looking into aspects like goods safety, moving costs and communication facilities of the relocating company, strong network of the relocating company, continuous information flow about movement of your belongings etc. Knowing what to expect from a professional mover will help you better prepare for your upcoming relocation. Blue Bird Logistics and Packers Movers can eliminate much of the stress felt while planning your move by customizing your moving experience so that it is exactly what you want it to be. Blue Bird Logistics and Packers Movers ensure attention to all household shifting details whether big or small helping you to settle down quickly and peacefully in a new location. Household shifting services comprise of an entire package of services, right from the initial consultancy to the final settling in at the new destination. Household Relocation Services Providers are offering: Making Article List, Professional Packing, Labeling on the Boxes, Carefully Loading of Goods into Transportation Vehicle, Transportation (Via Road), Warehousing/ Storage (If required), Unloading & finally unpacking of the goods into your new home. Blue Bird Logistics and Packers Movers offers these services along with stuffing facilities at latest technology and equipment. Blue Bird Logistics and Packers Movers understand needs and requirements of their clients and provide personalized shifting and moving of your valuable household goods containing furniture, glass items, paintings, electronic equipments, television, microwave oven, soft items like glassware & dishes and sensitive electronic items with extra precautions in packing to protect them. They acquire a sound infrastructure backed by latest technology which enables them to provide most innovative solutions to client’s requirements. Blue Bird Logistics and Packers Movers are well connected and located to ensure speedy services. We acquire a fleet of vehicles of varied sizes to cater all categories of cargo. Also, HS Packers Movers acquire most experienced, committed and professional manpower.